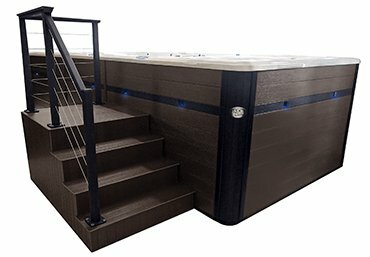 Handcrafted to compliment our PermaWood™ cabinets, the PDC Spas collection of hot tub and swim spa steps offer safety and good looks completing your backyard oasis. Relax knowing our sturdy construction will provide years of reliability and convenience to your hot water relaxation. Our stylish, open tier design steps offer the convenience you demand for your backyard enjoyment. 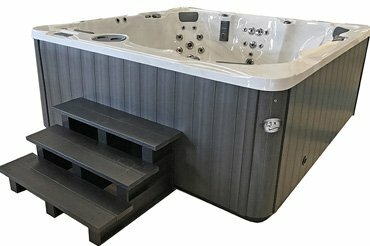 Select from two styles; four sizes, to best compliment the hot tub design of your choice. 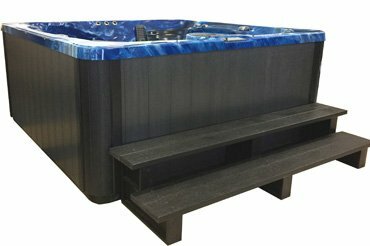 Pair the two tier design with medium to compact hot tub models, choose from 40”L or 72”L x 13.5”H x 19.5”W. 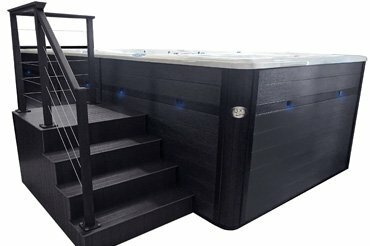 The three tier step design compliments those very popular deeper models, offered in black only, choose from 40”L or 72”L x 19”H x 29.5”W.